Alright, let’s get right to it. 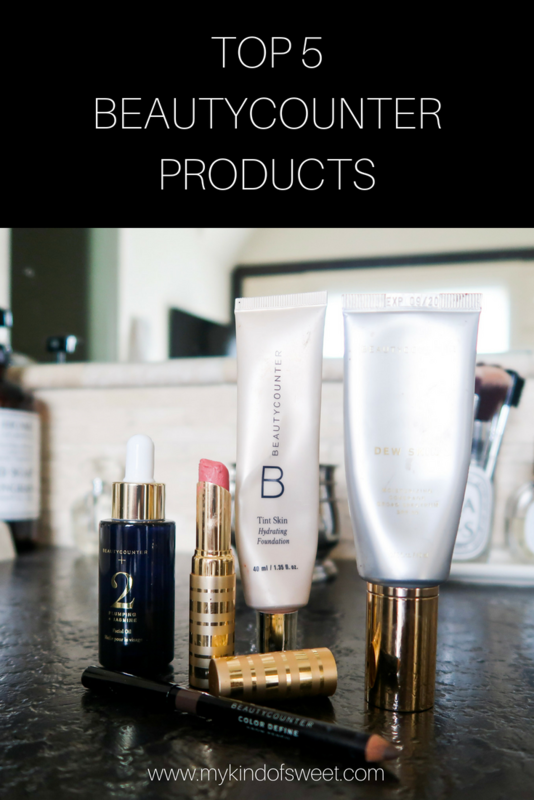 I started using Beautycounter last winter and I haven’t looked back. 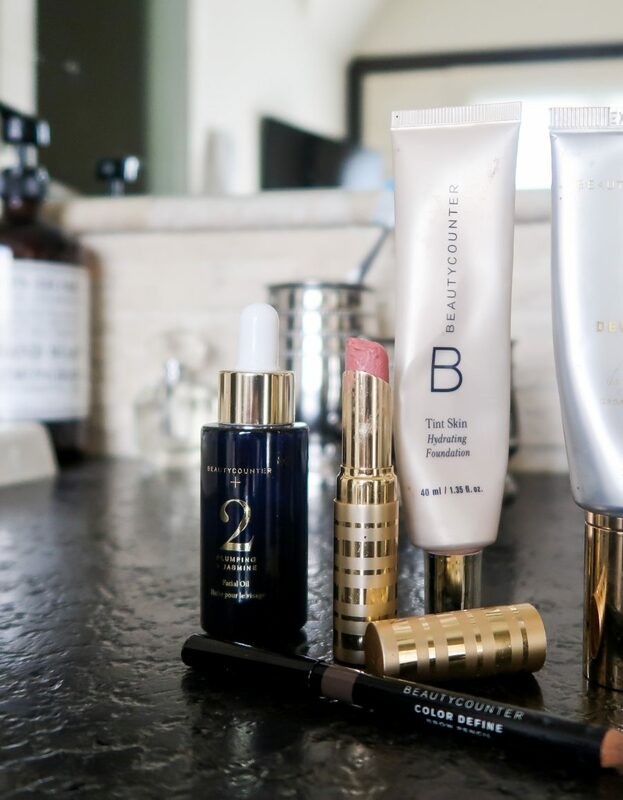 In case you haven’t heard, Beautycounter is taking the safe beauty world by storm. 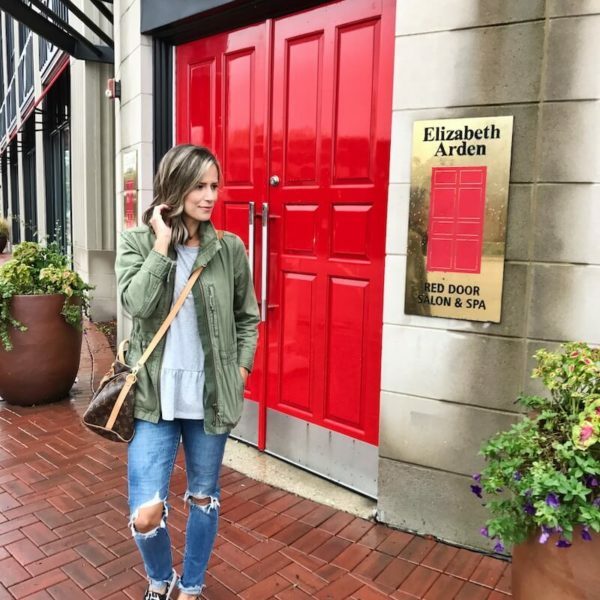 Since I’ve had kids, I’ve given much more thought into what I’m putting into my body and onto my skin. And when I learned that the beauty industry isn’t regulated and that companies are allowed to use harmful ingredients, it didn’t take me long to make the switch. 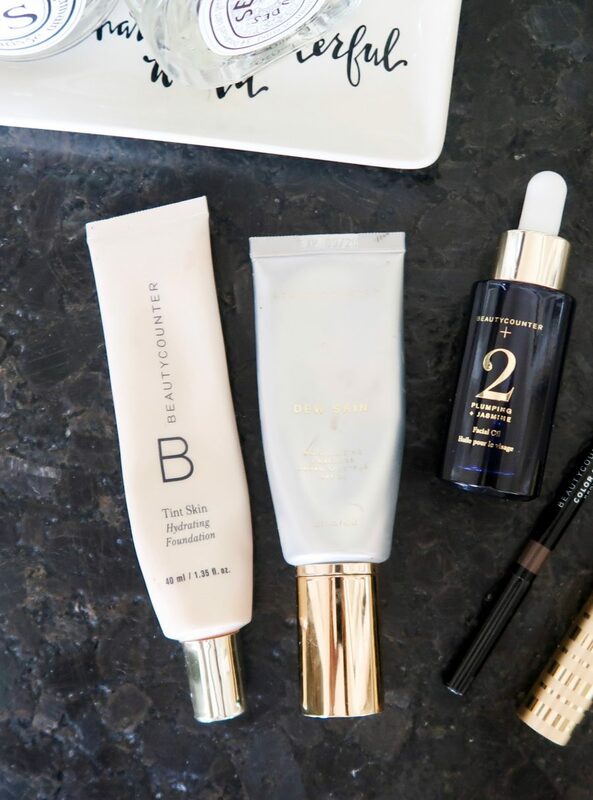 Beautycounter makes safe beauty products you can trust. 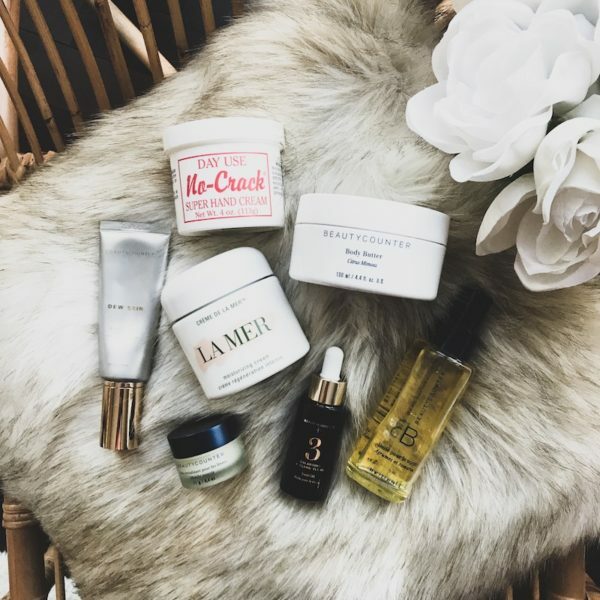 The’ve shared their Never List, which is a list of more than 1500 harmful or questionable chemicals that will never be found in Beautycounter products. Oh, and don’t think that just because they’re focused on safety means they’ve taken their eye off the beauty side of it. Did you know that they have people working for them who used to work for Chanel beauty?? Just sayin’. 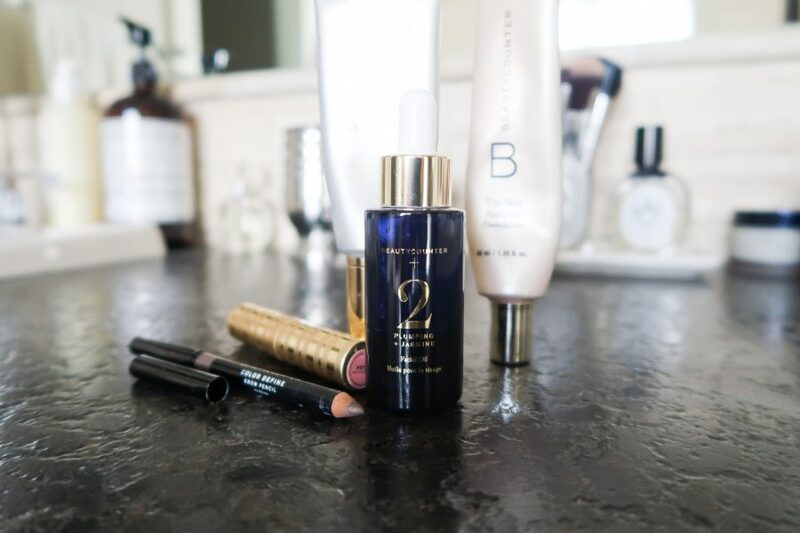 Hands down, my favorite Beautycounter product. I use this every day either alone if I’m mommin’ it hard for the day or under my foundation if I have real person plans. 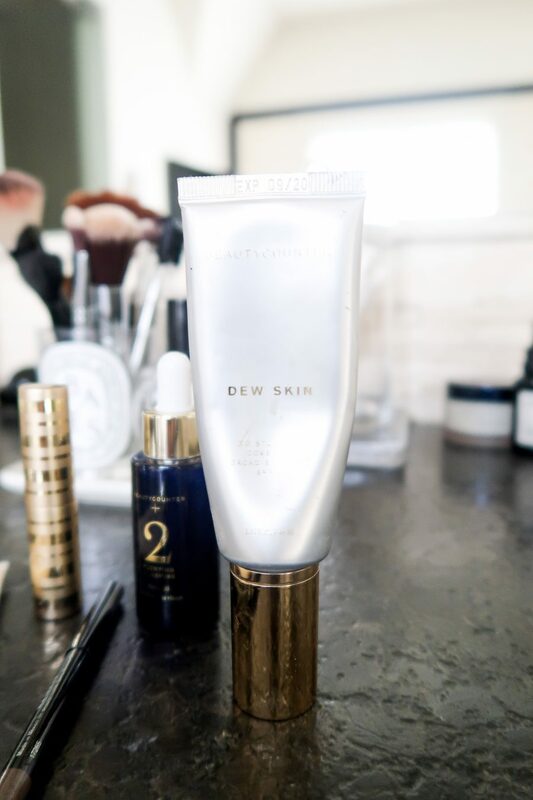 I gives me that perfect dewy look without looking like an oil slick. 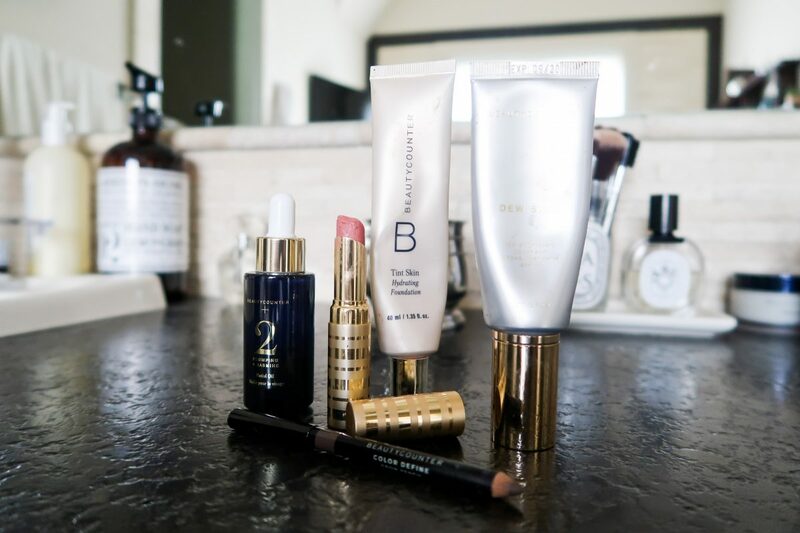 This was one of the first Beautycounter products that I purchased, and I instantly fell head over heels in beauty love. I use it at night and in the winter I’ll add a couple of drops to my morning moisturizer. I have also used a way more expensive brand, and I can honestly say that I can’t tell a difference. The amazing smell and luxurious feel on my skin is just like the facial oil that is double the price. 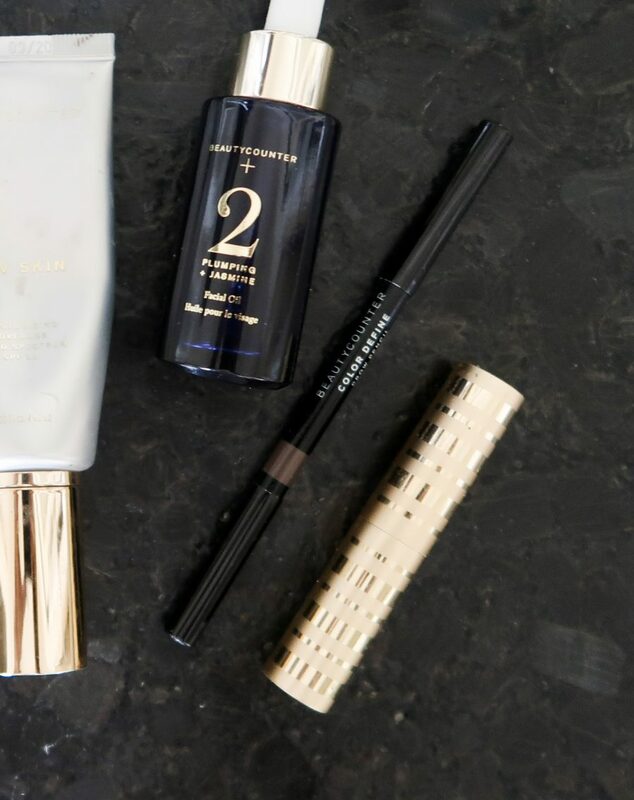 If you’re somewhere in between over-plucking your eyebrows in high school and getting microblading, you probs need this brow pencil. It’s the only one I’ll wear, and without it my brows need major help. This tube is almost empty and it’s time for me to order another one. I LOVE this foundation. It’s not too thick, but somehow still provides amazing coverage. 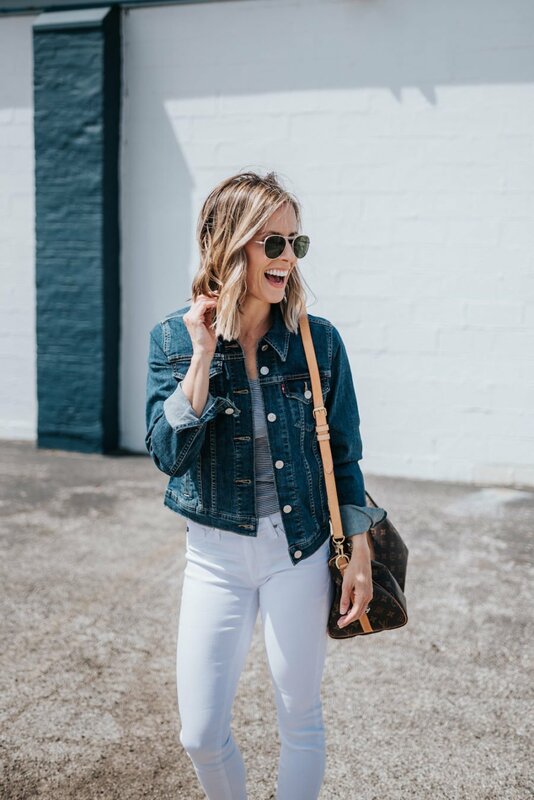 They call it “hydrating” for a reason: I wore this all through last winter and it helped my skin beat the winter. But, it’s light enough to wear during the summer. The best blush ever! I have it in the Bloom/Tulip and I wear it every day. This concealer is a tired mama’s best friend. I believe in charcoal thanks to this charcoal cleansing bar. It cleans away all the grit and grime without drying out my skin.